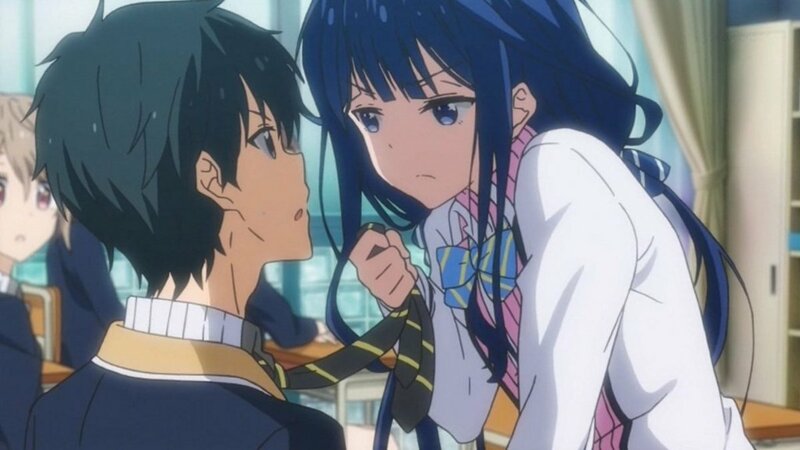 Masamune-kun no Revenge (a.k.a. Masamune-kun’s Revenge) tells the story of childhood trauma turned into revenge, and then finally—love! And it’s all in a funky high school setting! Masamune Makabe suffered humiliation as a child when the girl—Aki Adagaki—bestowed upon him the nickname “Pig’s Foot”. Now in high school, Masamune is a totally different person. He has shed weight and is now considered one of the most good-looking and popular boys in school. And so, he has come with a plan—a plan for sweet revenge! The plan is simple: make Aki fall in love with him and dump her in the end. But that is if everything goes well and smoothly. Aki is also quite popular, and she is known as “The Brutal Princess” of the school! Will Masamune be able to achieve his goal of exacting sweet revenge? So, I know why you’ve come here! 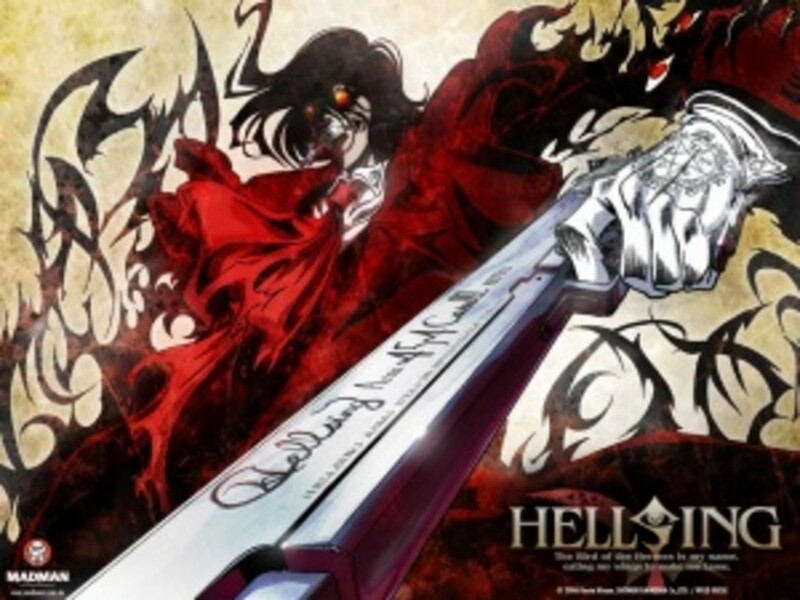 You’re looking for anime similar to this one, right? Well, look no further because you’re about to see them. With themes revolving around romance, comedy, romantic-comedy, childhood memories, narcissistic characters, and life alteration, here are the anime like Masamune-kun no Revenge! Misaki Ayuzawa is known as the “Demon President” of the student council of Seika High School. Why she needs to act like a demon is so that she could maintain discipline and protect the girls of the once all-boys high school. And so, she rules with an iron fist, garnering hate from the boys and admiration from the girls. There’s one problem though—Misaki has a secret that can potentially ruin her rule! 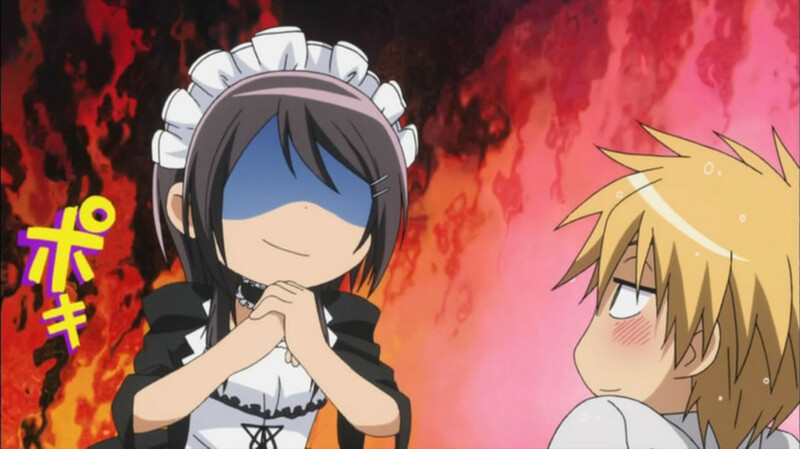 Whilst sneaking from everyone after school hours, Misaki goes to work in a Maid Café as…what else…a maid! Just what would everyone think if they knew that the rough-tough president is working as a maid? 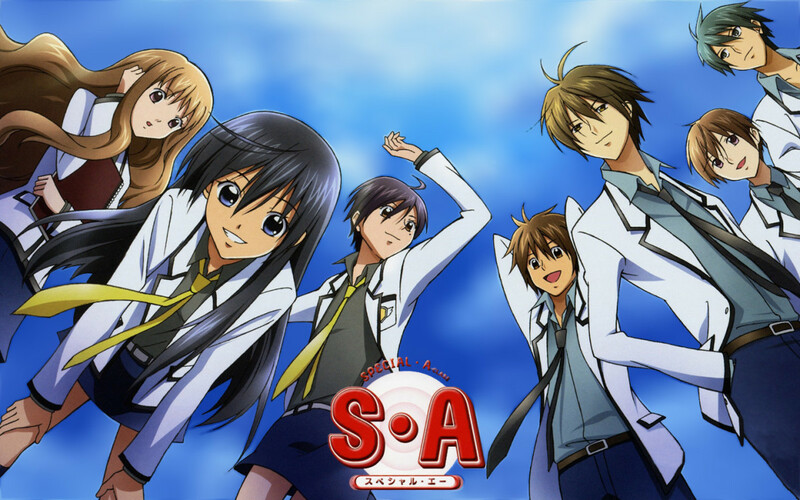 Well, all secrets must come to an end, especially now that the super popular guy in school—Usui Takumi—has discovered her secret! What is Usui’s agenda? Will this really be the end of Misaki’s reign of terror at school? Or is this just the start of something even grander? Louise Françoise Le Blanc de La Vallière is also known as “Louise the Zero”! Why? It’s because she’s incapable of proper magic. Every attempt she makes end up in a mess…most often an explosion! Bur, the biggest blunder she has made so far is—summoning her familiar! To everyone’s surprise, Louise has summoned a human being as familiar! And it’s not just some human, it’s Saito Hiraga! He may look ordinary but, he possesses a brand that is believed to be of legendary origin. What matters now though is that—Saito is the familiar and Louise is his master! 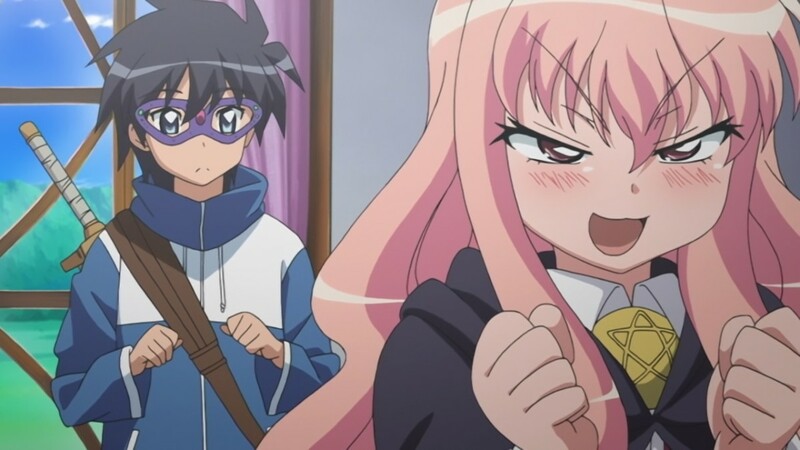 Louise already reeks of trouble because of her tsundere personality and claim to fame title. Put Saito with Louise and what awaits are—funky adventures and unexpected escapades! 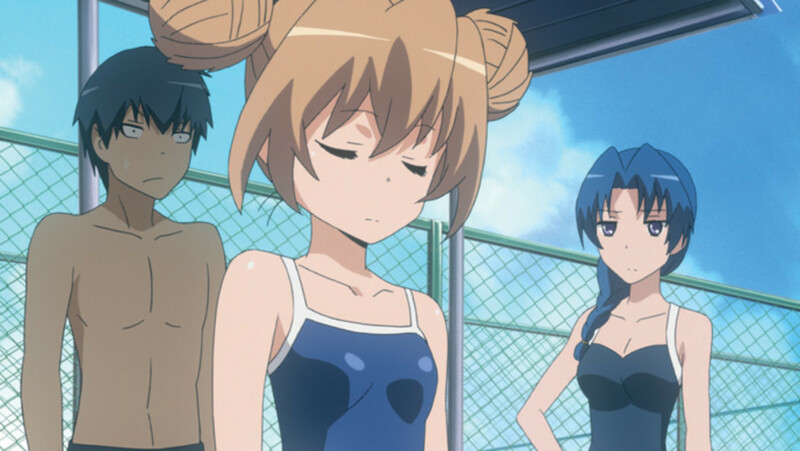 Ryuuji Takasu and Taiga Aisaka are two very peculiar high school students. Ryuuji’s stern face makes people judge him as a delinquent despite him being actually gentle and a lover of housework. Taiga, on the other hand, is petite and cute yet displays a menacing personality garnering her the title “Palmtop Tiger”. Both weren’t friends until an accidental discovery about each other’s crush happens! 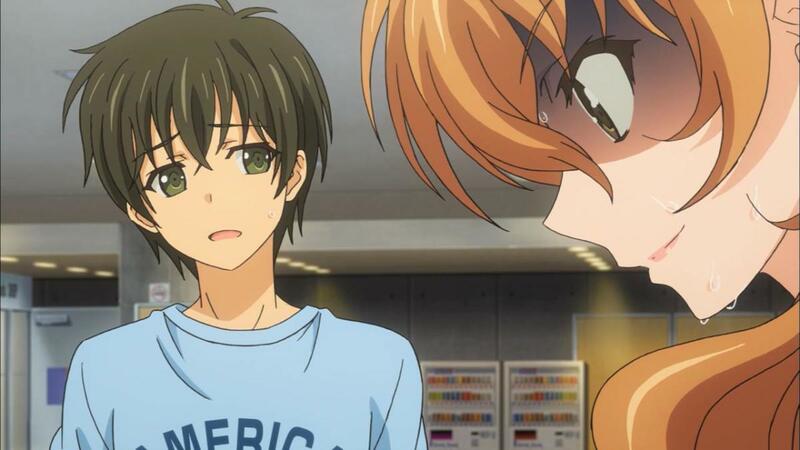 Ryuuji and Taiga discovers that both of them have crushes in the persona of each other’s best friend! This is big, something very humongous! Well, teaming-up has now become an option! So, without further delay, the plan of seizing the person they have set their eyes upon is put into action! That is, if both don’t end up just being partners! From strangers, to partners, to friends—oh the possibilities! Kodaka Hasegawa has a nasty impression and a notorious reputation! Thanks to his blond hair and obnoxious facial expression, people thinks that he is a seasoned delinquent. Wherever he goes, he always gains little-to-no friends! But, things are all now different! 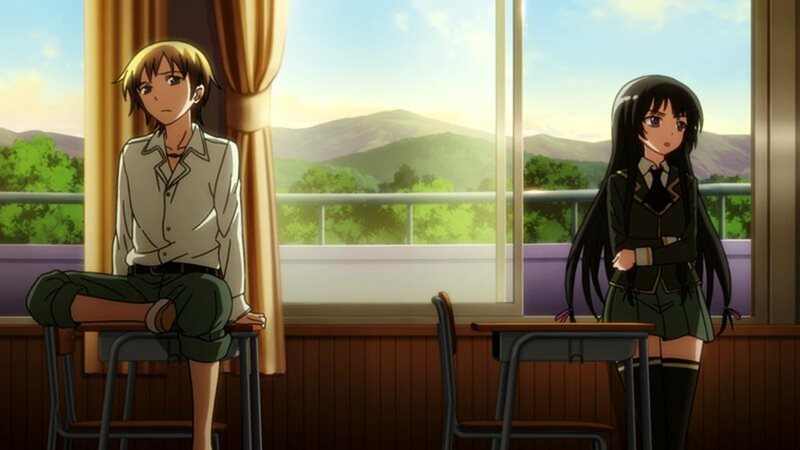 With Kodaka’s fateful meeting with a girl who has been talking to the wind, a door to a possible friendship opens! The girl talking to the wind is—Yozora Mikazuki! 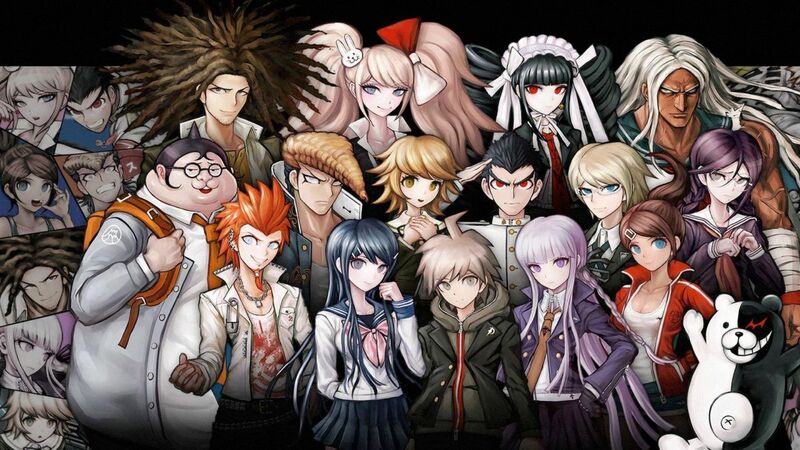 And just like Kodaka, she has no friends! So then and there, an idea popped up! Born from loneliness and friendlessness it the newest club—the Neighbor’s Club! Kodaka and Yozora are the whimsical founders, and the first task—finding members who have no friends to begin with! With his past forgotten and his longstanding personality gone and changed, Tada Banri is trying to get-over his accident and start his life anew as a student in a law school in Tokyo. And boy was his decision to move to Tokyo and study right! The moment he started school, brand new memorable experiences begin to mold themselves! Most memorable of all is—the classy, pretty girl, Kaga Kouko! The first time Banri laid eyes on Kouko, she already made an impression! Kouko is beautiful, classy, and has one heck of a personality! Could she be the one to bring new colors in Banri’s life? Well, if Banri’s past and memories don’t interfere, then there might be a chance! After all, the past is already in the past, and what lies ahead is only—the future! It all started with their meeting when they were 6-years-old. Hikari Hanazono and Kei Takishima have been rivals ever since. In everything they do, they fight until one reigns supreme. And in all their bouts, one-lopsidedness prevails—Kei is always number 1! Moving on to the future, both Hikari and Kei are now in high school. They’ve both become the best of friends but, their rivalry continues! Kei is still number 1 and Hikari is left with the number 2 spot. Will it ever end? Or will their rivalry and friendship evolve into something else? 27-year-old Arata Kaizaki gets another chance in life! Although he’s pretty much hopeless and at rock-bottom in his life, a ray of light suddenly hits him. There’s a new opportunity, a rare once-in-a-lifetime opportunity! What is it all about? It’s…the ReLIFE program! 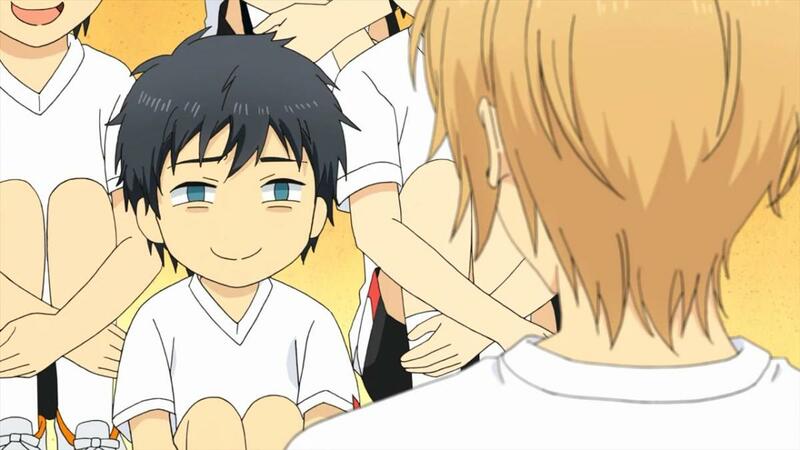 With the ReLIFE program, Arata gets to experience life as a high school student once again! After taking a mysterious pill, Arata reverts to his 17-year-old self. And so now, he is tasked with living as a high school student subject under observation. What awaits him? What new involvements will he experience? Will the ReLIFE program truly be his redemption in life? One thing’s for sure, living as a high school student again comes with all the nuances of it, so Arata better be prepared! Narcissistic and has semi-nihilistic—this is Hachiman Hikigaya in a nutshell! Believing that a gleeful youth is but a farce and spending time in societal events is just a waste of time, Hachiman often lands in trouble with the essays he passes to his teacher. And so, as chastisement—Hachiman gets sent to join the Volunteer Service Club! In the Volunteer Service Club reigns the Ice Queen, Yukino Yukinoshita. 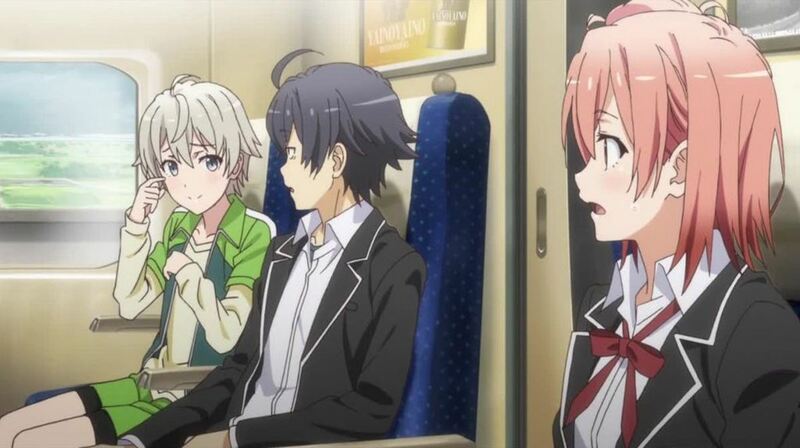 Hachiman cares less but, he has to get on with it to get over with everything as quick as possible. However, the Volunteer Service Club is exactly what it is—a volunteering club! And so, Hachiman is stuck with helping people and dealing with the thing he has always been against with from the start—social interaction! Being the narcissistic person that he is, high school student Kanie Seiya believes that he can always get people to flaunt themselves over him. But one day, the unexpected happens! A girl named Sento Isuzu becomes the reason why he has come to a desperate situation—becoming the manager of a run-down amusement park! Amagi Brilliant Park is an amusement park that has only 3 months left to exist due to its recent and continuing failures. 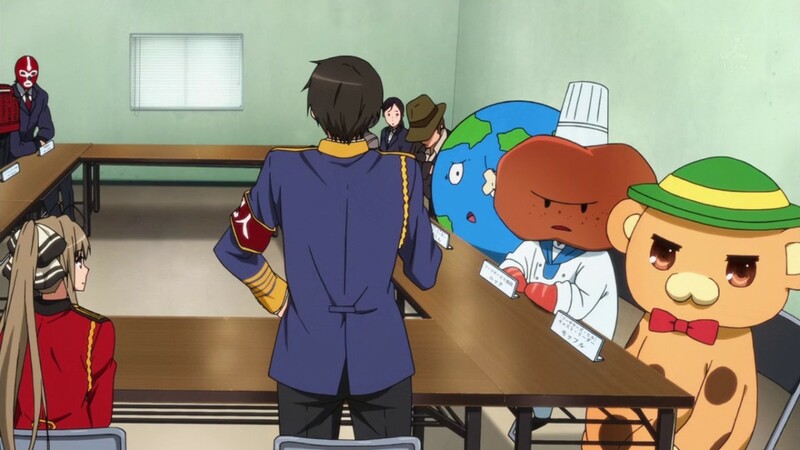 But despite the upcoming foreclosure, there is still hope for Amagi Brilliant Park. After all, it’s not just an ordinary amusement park—it’s actually a magical park with real magical beings! And in order to save it, Kanie’s help is profoundly needed! When he was a kid, Raku Ichijou made a promise to a certain girl. He promised that he would marry her when they get older. As proof of that moment, a locket that can only be opened by the key of the girl is handed down to Raku for safekeeping. Years later, Raku is already in high school. As for the girl, she has been dissolved in the memories of the past. Raku’s spending his high school life in the most mundane way possible. 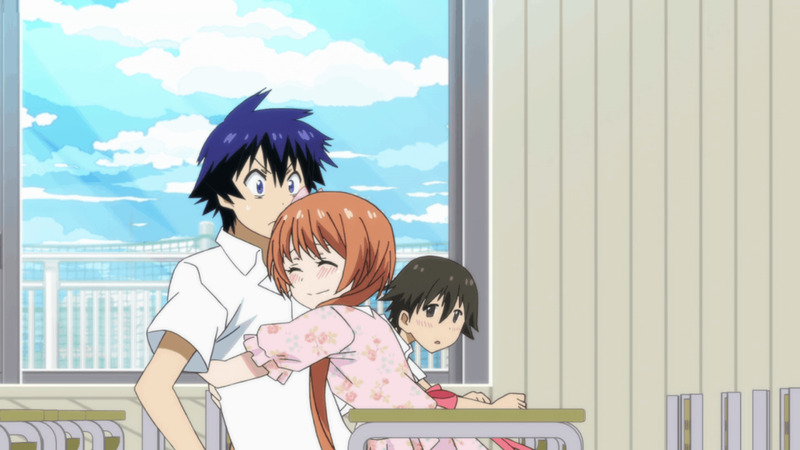 Shying away from his family’s status, Raku’s busy adoring his crush, doing school work, and avoiding complications. But then, a girl named Chitoge Kirisaki had to show up. It’s a hate-at-first-sight situation for both of them! Then it happened, Raku suddenly had to do something for the sake of peace and harmony. And that is none other than—pretending to be in a romantic relationship with Chitoge! @Cherese George Heyya! I've got a lot of articles similar to this so check 'em out when you've got time. I'm sure you're bound to discover more. Liked your article...I watched a few of those mentioned but am looking for new things to watch..